Participants will learn simple, effective techniques including how to handle home and car invasions and identify vital targets and pressure points to maximize effectiveness. Andrus has selected the most effective, practical self-defense techniques for women to use against an attacker who may be bigger and stronger. Signed copies of Andrus’ book, Staying in the Moment! : A Practical Guide to Women’s Self-Defense, and other items will be available for sale. 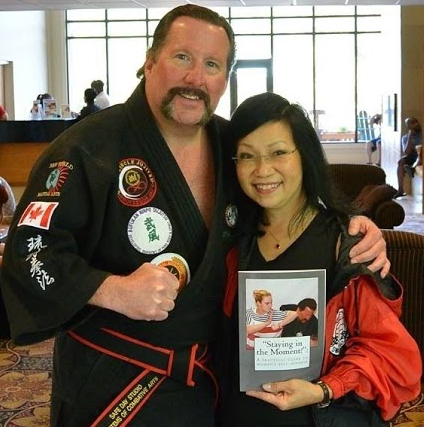 Andrus is a professional martial arts instructor who holds the rank of sixth-degree black belt in Hon Hab Do, fourth-degree black belt in Shorin Ryu and third-degree black belt in both Universal Kenpo and Okinawa Karate. Cost: $35 pre-register; $45 at the door. Location: 1733 Township Greene, Jamison. For more information, call 215-370-1650, email Info@UStaySafe.com or visit UStaySafe.com. June 2015. This entry was posted in DEPARTMENTS, NewsBriefs and tagged fitness, july 2015, june 2015, mike andrus, newsbrief, safe day studios, women's self-defense by Healthy Living Bucks and Montgomery Counties. Bookmark the permalink.